Marijuana is not good for your teenager. Teens smoke pot. By senior year in high school one out of three teens will have used marijuana according to drugabuse.gov. While not every teenager who tries marijuana ends up a regular user, there is concern for those that do. I realize I should tread lightly here because some of you reading this smoke weed yourself. You very likely see it as something that just makes you relax a bit and is harmless. You might even use it to help you fall asleep. You believe everyone who doesn’t use just doesn’t understand. It’s a small side habit you have that doesn’t really cost much money, and doesn’t really alter how you think or feel. You still hold down your job, raise your kids, keep your house clean and function just fine. So, what’s the big deal? If you smoke on a regular basis I can almost certainly promise you your teenage children know it. They view it as permission to use it themselves. 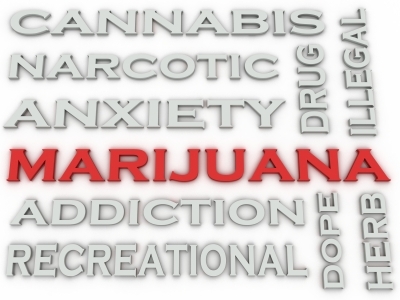 The problems for your adolescent using cannabis are numerous. Your teen is now hanging around the other middle school and high school aged children who smoke. Some of these kids use harder drugs, and will be bringing them around your teen. There will be opportunities for your teen to abuse things you’d never be okay with them trying. Your teen is developing a reputation. Kids talk to their parents. Other parents, teachers, school administrators, and coaches know your teenager uses pot. It is addictive. A lot of adults don’t believe this is true. However, the strength of THC in pot has been genetically engineered to be much stronger than it once was. THC is addictive, both physically and psychologically. It reduces motivation. You will see grades drop, their rooms a bit messier, and less excitement about the world in general. This is particularly true for teens who use multiple times per day. For a teenager, it’s expensive. Teens don’t make much money. Those who smoke marijuana on a regular basis usually end up spending between half and all of what they make on it. This means your child is working to buy illegal drugs, or spending their allowance on this. It’s really unhealthy. Many teens think it’s natural. It isn’t. Just because it’s a plant doesn’t mean it’s healthy either. Most of the marijuana grown uses pesticides, genetic modification, and is unregulated. You wouldn’t buy food like that. Besides that, when smoked, your teenager is repeatedly inhaling unfiltered smoke into their lungs. Yikes! When I am in my office doing counseling with adolescents, we often talk about drug use. All my clients know people who smoke, and many of them use it themselves. I am always encouraging them to stop, and for those who have agreed to do so, many of been surprised to find quitting extremely difficult. They often tell me, “I thought I could stop at anytime and I just can’t. I didn’t realize pot was addictive.” For those that don’t use it is frustrating that so many of their friends do. They need help coping with this reality, and that it only increases into the college years.